monitor your employees work in the system. Eg. you can receive a text when your employee adds new activity in client's profile or an info about sale. 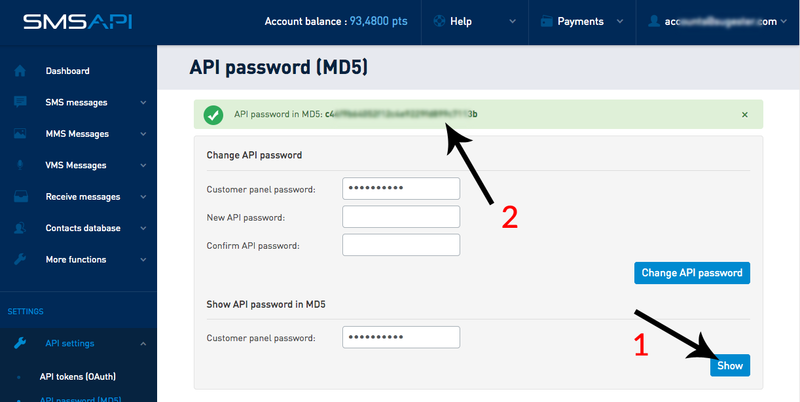 Then, go to the menu Settings > Account Settings > Integration > Smsapi.com integration and paste the data from your account at smsapi.com: "Smsapi username email" and "API Password (md5) smsapi" and click SAVE. 3. In Sugester go to Settings > Account settings > Integrations > Integration with SMSAPI.com. Mark the checkbox, and input your email address and API password. To check, if the integration works properly, select Test shipping SMS.